A child touching suspect lead-based paint. 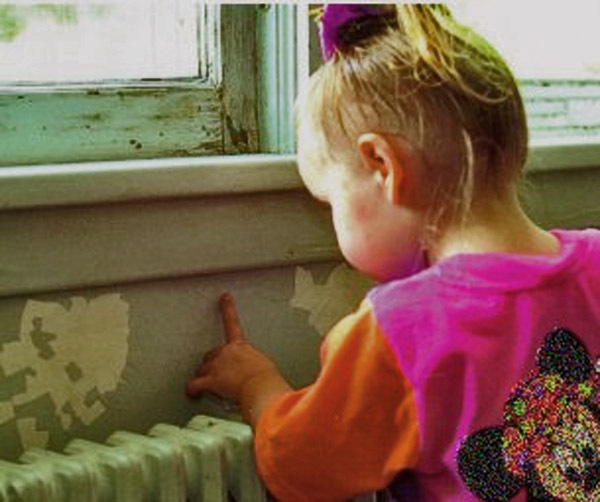 To protect public health and the environment from exposure to lead and lead-based paint hazards through the implementation of TSCA Sections 402, 403, 405, and 406 regulatory requirements under the federal cooperative grant agreement with EPA. Also through the establishment and implementation of the Hawaii Administrative Rules Title 11 Chapter 41 on Lead, and a Neutral Administrative Inspection Scheme (NAIS). a. Conduct HAR Chapter 11-41 inspections. b. Amend state laws, rules, and operating procedures to be consistent with national requirements. c. Develop a system to receive and record lead abatement notifications and monitor for compliance. d. Respond to all complaints and service requests received. e. Provide outreach services for each program through newsletters, informational meetings, brochures, and presentations to agencies/associations. f. Secure adequate resources to implement and maintain the program effectively. g. Develop and implement enforcement response policy. Maintain State of Hawaii lead abatement accreditation, certification, and registration systems for lead abatement entities and individuals. a. Implement third party examination program for the certification of individuals and firms. b. Develop and implement audit scheme for accredited training providers. c. Implement an accreditation, certification, and registration process. d. Provide lead abatement entities with correspondence by updating them with current issues, interpretations and policy determination.